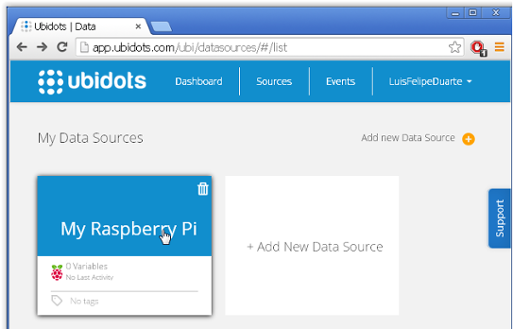 A fun project to build a simple parking sensor using a motion sensor, Raspberry Pi, and Ubidots. 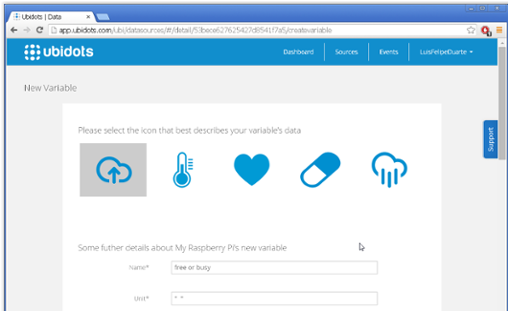 In this project we'll build a simple parking sensor using a Raspberry Pi. It turns out that every morning I have to face this question: is the ONLY parking spot in front of my office already taken? Because when it actually is, I have to go around the block and use at least 10 more minutes to park and walk to the office. The motion sensor is very easy to install as it only has three pins: GND, VCC (+5v) and OUT (digital signal “1” or “0”). If there's movement around it, it will output a "1", if there isn't, a "0". You can see the connection in the diagram below, the cables are plugged directly to the GPIO pins of the Raspberry Pi. If you need more information about GPIO pins you can visit this guide from makezine.com; it's a good source to become familiar with the Raspberry Pi pins. Navigate to the "Devices" tab and add a new Device. 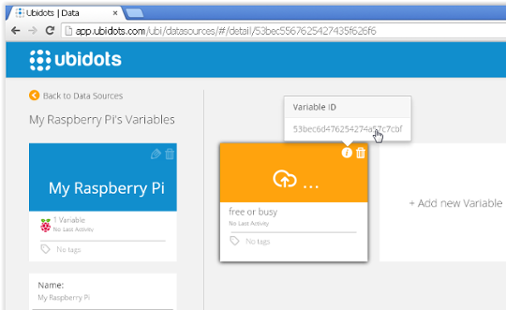 Add a new variable called "free or busy" and don't forget to complete the fields name and unit. 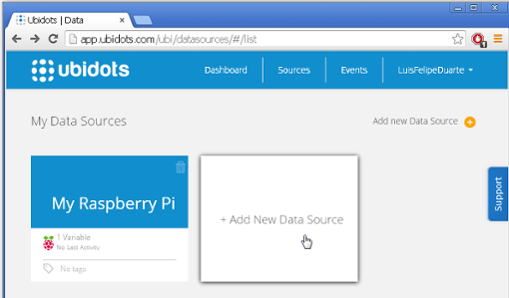 Take note of your API Key found in "My Profile --> API Key"
You should've already configured your Raspberry Pi, having Internet access from it. If not, follow this guide, or check this blog post about setting up WiFi. When ready, access your Raspberry Pi through a terminal (LxTerminal if you're accessing your Pi directly through it GUI), navigate to a folder where you want to store this project and create a new file called "presence.py"
That's all for this project! 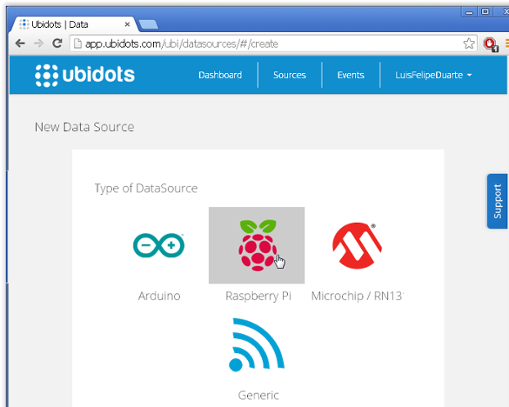 We learned how to plug a motion sensor to the Ubidots cloud using a Raspberry Pi and display its data in a live widget. The project could be improved by using a presence sensor and not exactly a motion sensor (which goes back to "0" after the movement is gone). 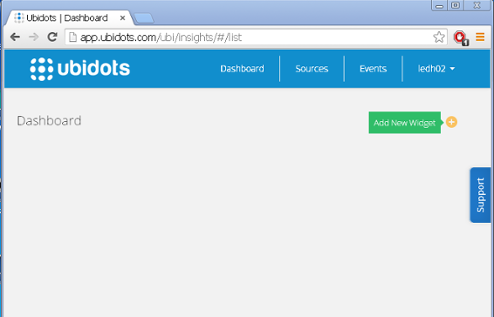 It can also be extended by setting up SMS or Email alerts, which can be created in the "Events" tab in your Ubidots account. Have a question? feel free to comment below or leave a ticket in our support page. 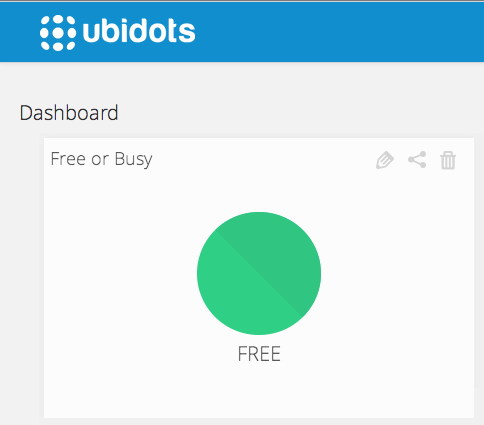 Still don't have a Ubidots account? click below to get started. 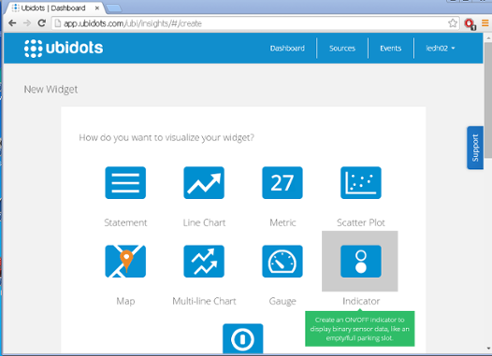 Originally Published in Ubidots Blog July 10, 2014.